Ask anyone, and they’ll tell you how to pick the right roofing contractor. It’s easy. Start with finding out how long they’ve been in business. Then, make sure they have insurance and any applicable licenses and certifications; obtain a few references and check them out; and call the Better Business Bureau. These are all important minimum requirements, the “entry fee” so to speak, but this does not necessarily separate the best from the worst, it won’t even separate the best from the mediocre. And it’s not mediocrity that you are looking for — you want the best. The way something is said may not reflect the underlying meaning. For example, it’s important to use an experienced contractor, especially when the average new business only lasts about four years. There is less risk with more experienced contractors. However, some roofing contractors use their “combined” years of experience instead of the actual number of years the business has been operating. 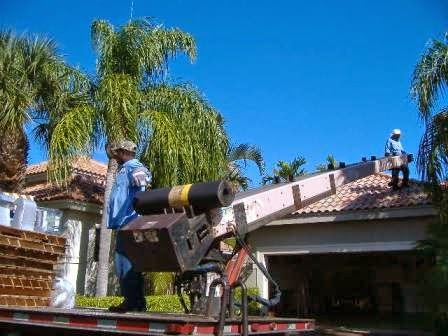 At Keystone Roofing Services, Inc., we have more than 30 years of experience in Palm Beach and Broward Counties – and it’s not “combined” experience. The best roofer is not necessarily the lowest bid. Understand that great roofing companies know the importance of price, however, using higher quality roofing materials, equipment maintenance, permits, training, safety, and insurance cost money, which may mean that they are not the cheapest. However, usually they are in the same range of other established and reputable roofing companies. Experienced roofing companies usually have established long term relationships with suppliers and vendors. A call to a local supplier or vendor may not only give you a list of contractors, but you can get a further evaluation or substantiation of one you are already considering. The way the phone is answered may be an indication of the type of service you will receive. A quality company ensures that all employees treat their customers and potential customers with courtesy and respect. Poor phone etiquette may be a reflection of how the rest of their business is run. A quality roofing company understands that every roofing issue, whether large or small, is important and will be happy to provide assistance regardless of the size of the project. Solving your problem is key, even if it’s providing direction to a source or offering free advice. Keystone Roofing Services, Inc., is here to serve you. Located in Boca Raton, Florida, they are an experienced local company serving Palm Beach and Broward counties. As a fully licensed, insured, and bonded company, quality at a fair price is what they stand for, customer service a #1 priority.